This article is interesting in many ways. It highlights the shift that is taking place that is slowly taking shape around the world with China and their “industrial revolution.” The steel industry has long been an American dominated industry because its superior manufacturing processes. China has been making serious in roads to compete locally. The article talks about the implications of opening the proverbial “can of worms” of using Chinese steel to build United States infrastructure. It speaks of the price differential between Chinese and US steel, and it talks about the future of the steel industry. 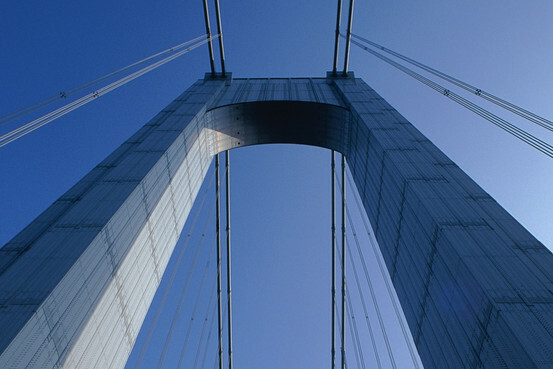 The United States steel industry could have an uphill battle for future construction and bridge work if the steel used in the bridge projects in New York and San Francisco prove out to be high quality. The common thought within the United States manufacturing and building sector was (and still is) that Chinese steel was inferior and could not be trusted. The American Recovery and Reinvestment Act was supposed to help out industries like construction and the steel industries by putting limitations on where you can buy material and employing people. The problem with this restriction, is there has been so much consolidation in the steel industry that many items are not made by ANY American producer. In some cases, even if there is the American alternative, the price can be much higher and the project manager needs to reassess its job priorities. The article talks about the situation where a company was able to find material in the United States that was almost double the price of the imported steel. The steel industry and the manufacturing world run in tandem. Manufacturing has been sputtering in the United States and the steel industry is dependent on people buying cars, appliances, and building infrastructure. The manufacturing sector has defected overseas to places like China and India because of cheap labor. The majority of the construction industry has stayed within the United States because of the superiority of the American made steel products. Companies like Nucor have had a stranglehold on the construction industry because of the high quality, yet economically made steel that they were able to produce. The danger, as the article talks about, is the threat on the construction industry which has started to shift towards Chinese steel. I think that if President Obama extends tariffs, it will have a temporary positive effect on the industry by putting China and the US on equal footing in terms of pricing, but what is the long term game? While I agree that it is important for China and the United States to be on an equal playing field, I think that the bigger problem is the need for more planning within the industry to become a feasible and efficient producer of steel and employer of American jobs. Assessing our risks of bringing in more capacity to the industry vs. not being a significant player will be something to watch for. How does the industry help bring manufacturing jobs back into this country without a plan towards the future? I think this was a really good post. It points out a few things. For one, it is difficult to complete against foreign countries when there is such a significant different in one significant element of production. I feel it also points out a larger problem within the modern American economy where firms simply give up to foreign competitors or find excuses to not innovate due to the simplicity of moving production overseas. The United States has been allowing cheaper labor supplies overseas to dominate industry for too long and has missed many opportunities to utilize differences in the production model equation. Relating to Steel, many of the steel plants within the country are incredibly old and thereby inefficient in comparison to many of the plants being utilized overseas, thus hampering the domestic industry. Thee is an opportunity to utilize factors within the country such as cheaper fuel sources and levels of automation which would counteract foreign advantages within the industry and play against the added costs of overseas production. In my opinion, there is also a significant interest to stimulate such behavior due to larger issues such as national defense. There is a reality that no country is able to sustain itself economically or militarily over the long term without owning the means of production. A perfect example of this goes back to colonialism whereby countries established colonies to provide raw materials to the home country which in turn sold manufactured goods back to that colony. There is an extremely high level of value provided through the means of production which when lost will lead to a slow drain of a nations wealth. In my opinion, the loss of steel production is a perfect example of one of the many cuts that leads to a cataclysmic bleed out over time. This is an incredibly interesting post and I think it raises a lot of great questions; both political and economical. While raising tariffs is a short term solution and could positively impact the steel business temporarily it could have unintended negative effects on several other industries. If I were an American steel company or the American government I would be asking myself how is China able to produce quality steel at half the price? I think it is time that American companies and industries work harder and innovate to create far superior products that do not have to compete on price at all.